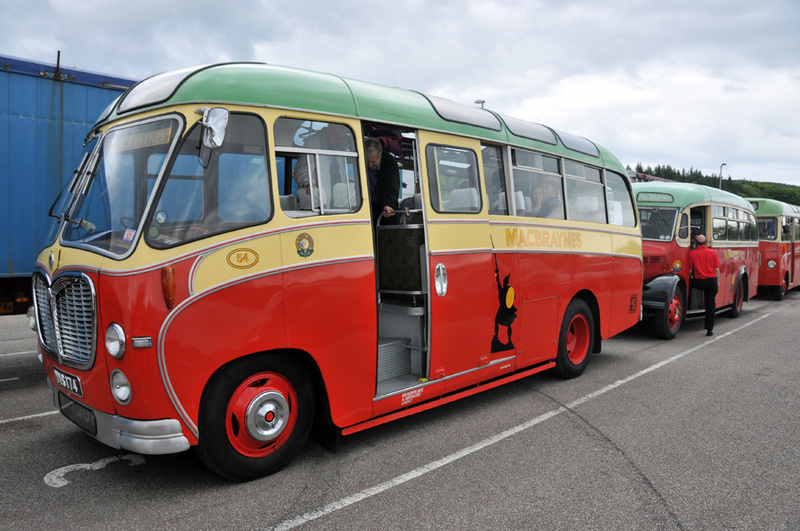 Three vintage MacBraynes coaches on their way to Islay, here seen waiting for the ferry at Kennacraig ferry terminal. They were on tour around the west coast, visiting Islay for a few days. This entry was posted in Cloudy Weather, Mainland journey, Repost and tagged Kennacraig by Armin Grewe. Bookmark the permalink.